Trump backers warn that firing Mueller would look "suspicious." BROOKFIELD, Wis. — Voters on both sides of the Trump divide say that the president would be unwise to fire special counsel Robert Mueller. But that might be just about the only thing they agree on. A focus group of six Trump voters and six Clinton voters outside of Milwaukee on Tuesday night laid bare the deep rifts between Trump's backers and his detractors, with his voters steadfastly repeating the president's claims that the investigation is a political "witch hunt." "I think this investigation is ongoing because people aren't happy that Trump is in power and they're looking for any way to get him out," said Meredith, a 36-year-old physician assistant who backed Trump in 2016. The Big Question: Is President Trump's best defense a good offense against Mueller? Other Trump supporters in the group called Mueller's work "a witch hunt to overturn the election" and "a farce created by the deep state," while those more skeptical of the president suggested that the investigation should run its course. "They are still investigating. We have to be patient. When we had the Ken Starr investigation, that ran for four years. That went all over the place," said Atanu, a 48-year-old independent in marketing who voted for Hillary Clinton. "We have to give them time until the facts come out and then we can dispute it." 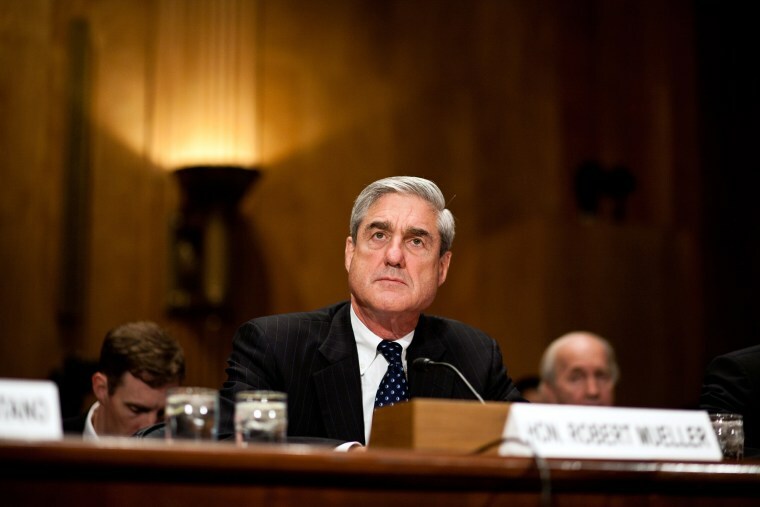 But both sides indicated that Trump would be foolish to fire Mueller prematurely — although perhaps for different reasons. Almost all of the participants, including most of Trump's ardent boosters, said such a move would raise suspicion. "I think politically it would be a terrible idea because it gives fuel to people who say he did something," said Sam, a 25-year-old Trump voter who works as a warehouse manager. "But he'd probably just be doing it because it irritated him that it's not ending itself." Michelle, a 52-year-old clinical research assistant who voted for Clinton, said if Trump fired the special counsel, "I'd think he's got something to hide, that he's hiding something." Peter Hart, who conducted the focus group on behalf of Emory University, said that the group's disagreements illustrated the nation's stick-to-your-partisan-corner mentality. "Partisan America is alive and well in Wisconsin," Hart said. Perhaps the most vivid illustration of Trump's impact on partisanship, though, came not in the discussion about Mueller but in a routine word-association exercise. Asked to think of a single word or phrase to describe Arizona Sen. John McCain, who is currently gravely ill with cancer, the group's Clinton voters called the onetime POW "strong" and "a hero." But those who most vociferously supported Trump, who has famously clashed with McCain, referred to the 2008 GOP presidential nominee as "petty," "old" and "a turncoat." "If anybody has a doubt about how solid the Trump core is, come listen to this group," Hart noted. "They couldn't even find a nice word to say about John McCain." The group also had scant praise for House Minority Leader Nancy Pelosi, labeling her "too old," "unethical" and "partisan." While partisan disagreements about the president's record dominated the two-hour conversation, most of the voters — including Democrats — gave Trump at least some credit for an improved economy. Meanwhile, even Trump's voters expressed some chagrin about his demeanor on Twitter. Trump's personal transgressions, including alleged extramarital affairs, came up only obliquely and were also were colored by voters' overall opinions of the president. Steve, a 54-year-old librarian and Clinton voter, labeled Trump "disgusting." Pressed by Hart why he chose that adjective, he replied: "I have a daughter." But Betsy, a Trump backer, brushed off the notion that Trump's actions could be viewed as a poor example for her daughter, suggesting that Trump has been held to an unfair standard. "He's been a businessman and he's built empires," she said. "There are some actions I don't like that he does but there are other businesspeople that we know that have done worse things than he did [and] are still in business." While a majority of the participants said that the midterm election would be a referendum on Trump, they also indicated that the threat of impeachment would not be a factor in their vote decision in November. Democratic Sen. Tammy Baldwin in Wisconsin will face a tough challenge from Republicans this fall, and GOP Gov. Scott Walker is up for re-election.